Reduce your risk of developing illness, disability or death caused by cancer, heart or lung disease. Reduce your risk of gangrene or amputation caused by circulatory problems. Protect the health of those around you by not exposing them to second-hand smoke. Improve your fertility levels and your chance of a healthy pregnancy and baby. 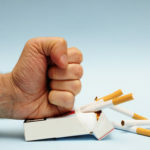 Eliminate the smell of stale tobacco. Improve the air quality in your home and reduce the risk of fire. Your lungs start to clear. 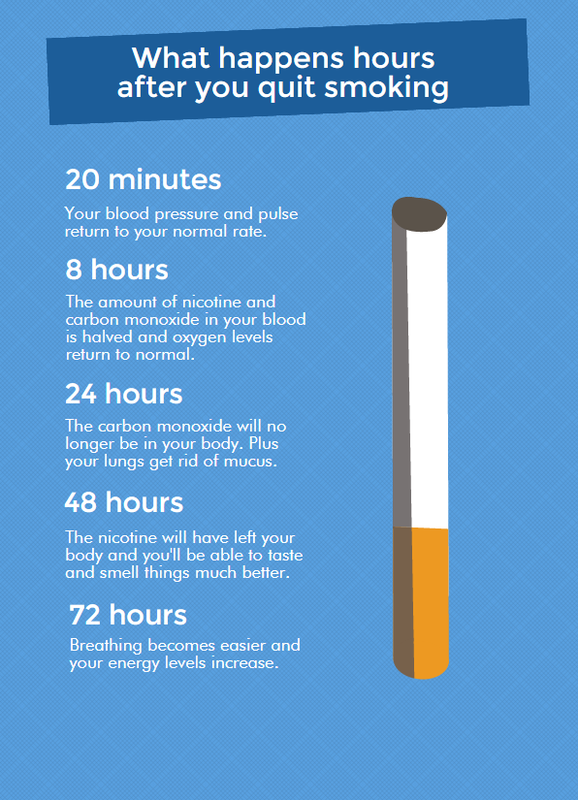 Your body is nicotine-free and your sense of taste and smell improve. You can breathe more easily, and your energy increases. Cough, wheezing and breathing improves. Your heart attack risk is half that of a smoker. Your lung cancer risk is half that of a smoker.